Farewell summer, we will miss you! The scent of pumpkin spice is starting to linger in the air, leaves are turning orange and the mornings are getting chilly. We are all trying to ignore it, but Fall is definitely on its way! Each season has its own challenges for your mouth. In Autumn we see lots of chapped lips, congestion, drier mouths and a tendency for more sugary warm drink choices. Here’s some tips on keeping your mouth healthy this Fall. Flu season and allergies are back again and with them comes congestion. Congestion can bring dull aching to the top molars. Be aware that de-congestants help dry out your sinuses but will also dry out your mouth, putting you at higher risk of gum disease and cavities. If you need to take anti-histamines or de-congestants, be sure to increase your water intake. 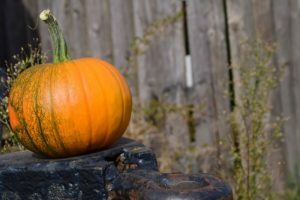 Pumpkins are a great source of fibre, potassium and vitamin C, meaning it is great for heart health. Vitamin C is also important for optimum gum health and healing. ← Invisalign – Leanne tries it out!